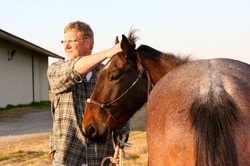 Our Mission is to provide individuals with a supportive, ranch-style environment that restores health and well-being in mind, body and spirit. Participants experience the value of service learning while developing a strong, hands-on work ethic resulting in self-sufficiency and a love and respect for one's family, community and country. We are currently assisting youth & adults (ages 12 and up) and military veterans diagnosed with Post Traumatic Stress Disorder (PTSD). 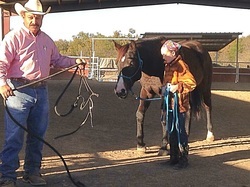 Gain competitive horsemanship skills by learning equestrian mechanics!!!! Reserve your spot by calling in! ask for Mr. Harry Nakoa 808 987 4052.